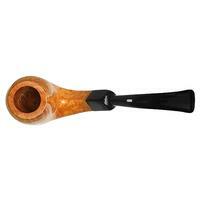 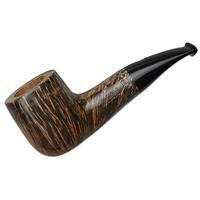 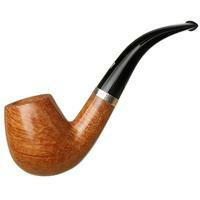 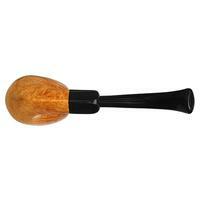 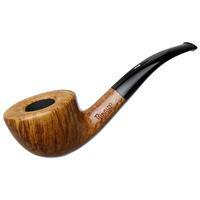 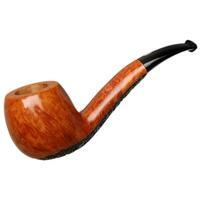 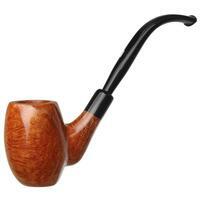 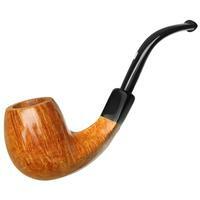 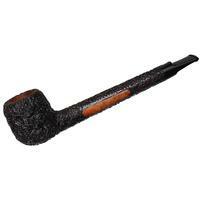 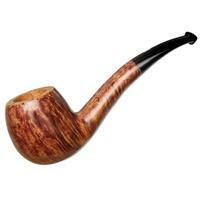 The style of S-curve on the "Castello" bent Billiard is signature Castello. 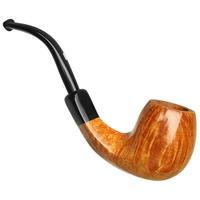 I've always thought of it as a sort of Italian take on the classic English "swan neck" style of bend — the shank even more dramatically stretched and the stem elegantly bent and quite trim of proportions. 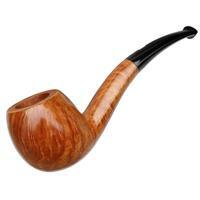 The slender combination thrusts the visual weight to the bowl in true neoclassic style, with plenty of chamber on offer in this piece. 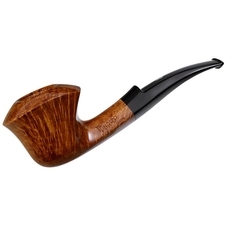 For a unique touch, the Italian workshop has hear paired the traditional bowl to a diamond shank, adding some crispness both in hand and in profile, all dressed in a gorgeous, honey-blonde stain.